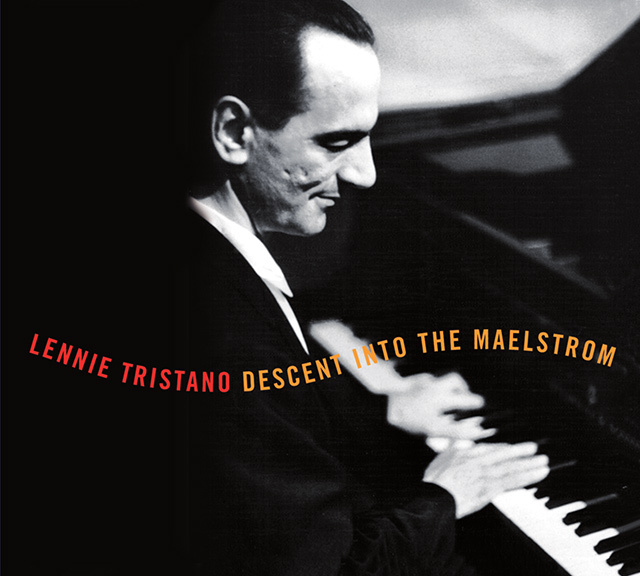 Welcome to LennieTristano.com a site dedicated to Lennie Tristano, one of the great original improvisers and innovators in jazz. Lee talks briefly about his current tour with Dan Tepfer. Legendary saxophonist Lee Konitz – whose career has included work with Miles Davis and Lennie Tristano – performs tonight in a rare, intimate duo setting with pianist Dan Tepfer. Lee Konitz is one of the more distinctive alto saxophonists in jazz since Charlie Parker (and one of the few that did not outright copy Parker’s style), pairing his individual style and voice with a strong sense of innovation. Dan Tepfer has collaborated with Lee Konitz recording Duos with Lee on Sunnyside Records in 2009. Hear the Lee Konitz & Dan Tepfer Duo perform at Constellation on Friday, February 20th with sets at 7:30 ($20-$25) and 9:30 ($15-$25). The name of this Indie Pop project sounds like a campy, 50s, B movie. It’s really Ted Brown’s daughter Anita who was working on a project with her jazz orchestra. Sounds like it would have been a cool project! The new site format also allows for revivification of older articles and surely this one deserves a bump. References to Eunmi’s tome now dominate the footnotes of almost all that is online regarding Lennie. The moment I heard the news of the Chicago April 1951 release, I Amazon Primed this disc to my house. I was dismayed to hear that on their first attempt, our trusty US postal service was unable to delivery this very important package in my mail box. Fortunately, I was given another option! Wading through reams of bureaucratic forms to register at the USPS website so that I could indemnify them should they return and leave the package without a person to sign for it. Was it worth it? Yes it was and I would do it again in a minute. Such a very exciting recording, the record was reviewed on National Public Radio last week. (Hearing Terry Gross say “Tristano” so many times was odd to my ears.) But Fresh Air jazz critic Kevin Whitehead shines his own spotlight on the laser beams on his review of the newly released Chicago April 1951 live recording of Lennie. Since the end of last year, I have become supercharged with energy from music. 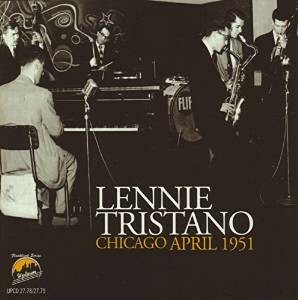 It all started out with the news (arriving somewhat late to my ears) of the release of Chicago April 1951, an amazing record that Lennie Tristano fans have been wishing for years would surface. The good vibes continued with the arrival at my door of the recent Connie Crothers release CONCERT IN PARIS and it’s all come to a climax with the news that DESCENT INTO THE MAELSTROM has been reissued! This new found energy has motivated me to transform this site with a new platform, look and feel for LennieTristano.com. I am currently working through this migration process including the change of provider and installation and configuration of a WordPress instance for the content management system and blogging platform. I am working to preserve all aspects of the current site including the wwwboard archive, but it may take a few weeks before I have it all back in order. Things may appear a little spontaneous around here. Ultimately, my hope is to use the WordPress platform to point out other bits and pieces of Lennie’s influence out in the world and continue to help bring his music to a new generation of listeners. If you have an idea please submit through the site – I’ll have a link up here soon. The Lennie Tristano Forum is still around, it’s right here but I’m really excited to see how this new platform allows for new and different types of collaboration. This site has always drawn it’s energy from the community, thanks to all of you for your contributions. So what are we waiting for? Let’s go!